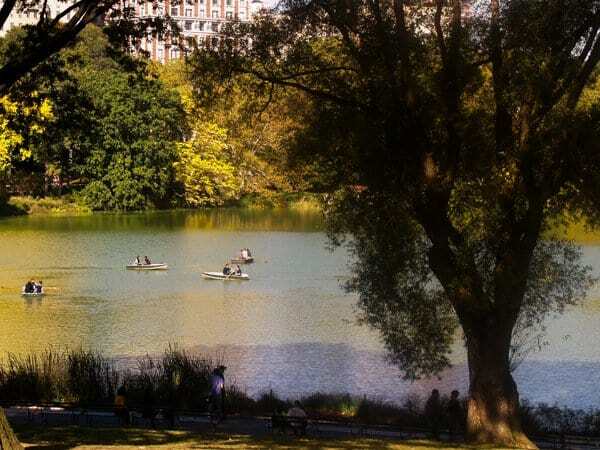 Central Park in New York City is ideal for taking a break from the rush of the city. At every opportunity to visit NYC, I retrace well-worn trails from prior visits, then explore some new areas of the city. 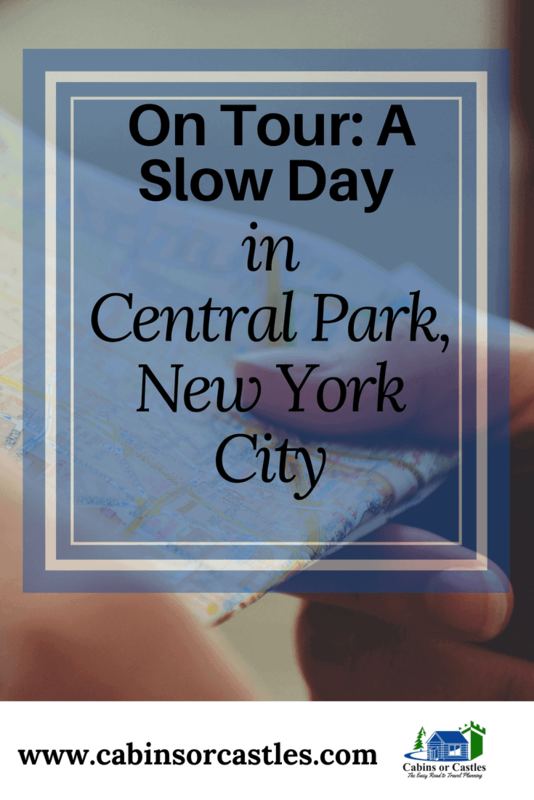 Today’s visit is all about Central Park and a day in the city. 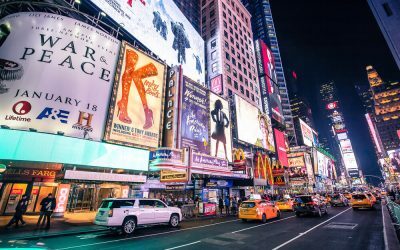 October is my favorite month to visit the Big Apple! 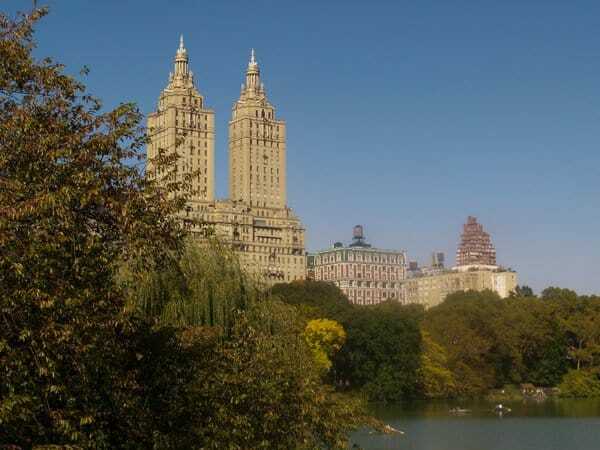 I usually stay in Midtown and take a walk for several blocks to enjoy the city before entering the park. My walking tour to the north of Midtown is ideal for tracking some steps on my Fitbit device. Of my well-worn trails, this is a favorite. 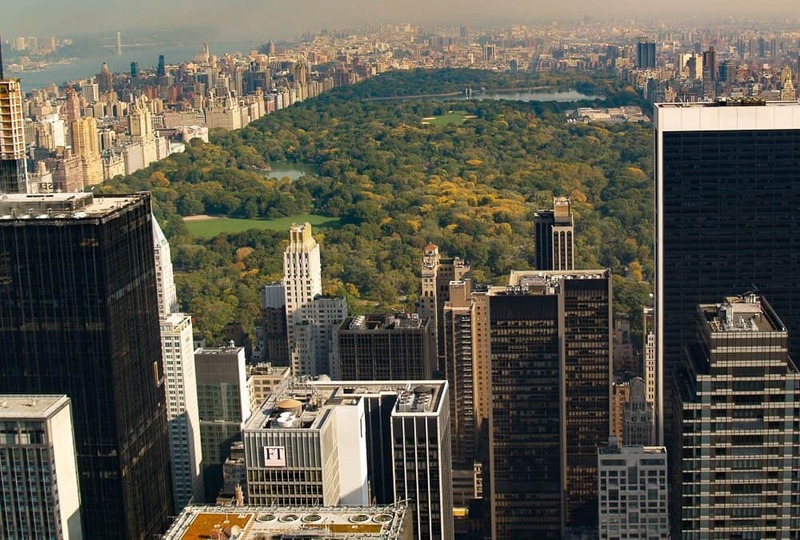 The starting point is the Waldorf Astoria Hotel. In June of 2009, I stayed at the hotel during some business meetings that changed my business career trajectory in so many ways. The weekend before the meeting, a head cold started and was in full combat by the time I arrived in New York. A sinus infection transformed the common head cold into all shades of miserable. At some point, I slipped away from the business meetings long enough to go to a Duane Reade doctor facility and start on antibiotics for the remainder of the week. It was June, but rainy and cold. To this day, I say “If you are miserably sick in NYC, the Waldorf-Astoria Hotel is an excellent choice for a sick bed!.” The hotel comforts were the only bright spot in that week of pain. This beautiful landmark hotel opened in 1931, as the second hotel to bear this name. Think about that. It was certainly a different era and much unlike the current day when chains of hotels have hundreds of buildings that bear the same name and branding. Shops and displays are abundant as we head north. Even office buildings have interesting interiors as we watch the business people rush in and out, conducting their business and chatting with vigor on cellphones and Bluetooth devices. I’ve always enjoyed a stop at the opulent Trump Tower and taking a few minutes in the tree-lined atrium for a soft drink, coffee, or water. On one occasion, I had a brief encounter with business advisor George Ross in the building’s main lobby. We arrived at Central Park’s southeast entrance, but then walked the southern perimeter, past the carriage horses and entered from the southwest, near the Merchants’ Gate entrance. 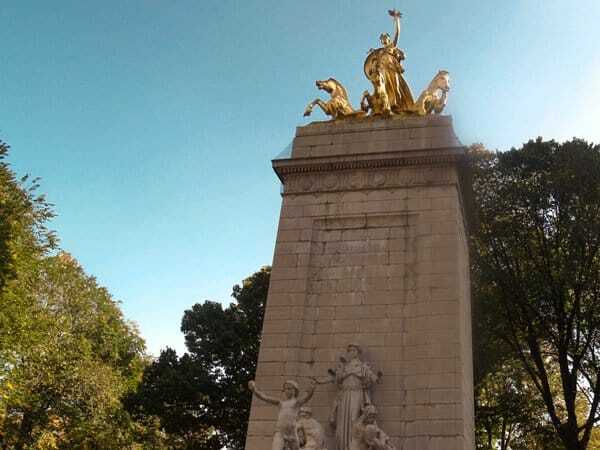 This imposing monument, with layers upon layers of history and art, is the USS Maine National Monument. Dedicated in 1913, this monument is a tribute to the 261 sailors and ship personnel who gave their lives aboard the USS Maine when the ship exploded in Havana Harbor in 1898. The water features and green space in Central Park are so appealing. Within a few steps from the entry, the tranquility takes hold. The trees rustle with light breezes and shimmering red and gold leaves flutter to the ground at our feet. It’s autumn, after all. The Pond (as it’s indicated on the map) is a man-made small lake with an arching bridge. It is so picturesque and provides a stunning view of the park and the city. The stone bridge and classic styling (surrounded by large trees and flowering shrubs) make the ideal romantic setting. It’s no wonder that the bridge is a popular wedding proposal location. Our next stop is a quaint cottage, known as The Dairy. The Gothic architecture reminds me of a countryside chapel, however, this is the gateway to an area that was originally a working dairy. The dairy offered fresh milk and ice cream and was an entertainment area for children. This building now serves as the park’s visitor center and has gifts and souvenirs available for purchase. The dairy overlooks the Wollman Rink, giving visitors a view of ice skating activity against a backdrop of urban skyscrapers towering above the treetops. 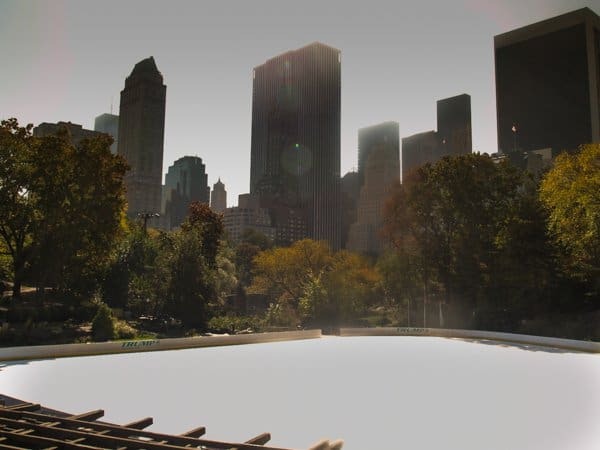 There are two ice skating rinks in Central Park, which are active for several months each year. Our next stop is Sheep Meadow. This massive green space is indeed a grassy meadow that was used for grazing sheep until 1934. This spacious meadow is a popular place for sunning, picnics and relaxing with friends. The Tavern on the Green restaurant is only a few steps away. Here you can find a selection of lunch items or just a quick snack if you are ready for a break from the walking. The Mall is one of my favorite areas. I love the draping trees and the many literary and film references. While most paths in the park are meandering trails with twists and turns, the mall is a broad and long path that leads to the Bethesda Terrace at its north end. The American Elm trees create a shade of cover and give a sense of privacy, even when surrounded by hundreds of other visitors. You’ve seen it in movies; it’s just as lovely in real life. 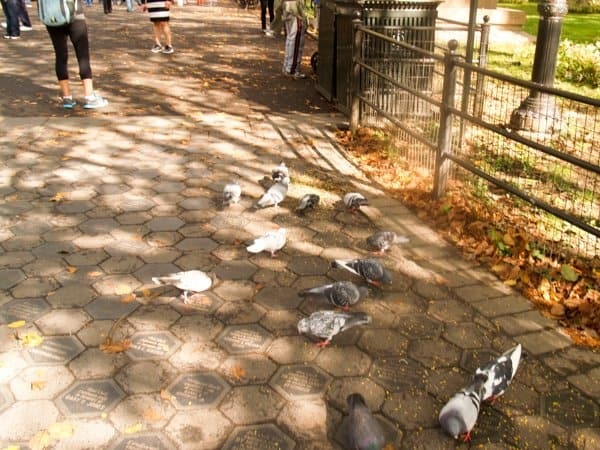 Surrounded by pigeons, the pecking, the flutters, the quiet cooing sounds. It’s all quintessential New York City, and quite comforting. The statues on the perimeter of the mall are those of famous writers and other literary figures. This pathway is known as the Literary Walk and it is along the mall path that the many statues in the park begin to display prominently. 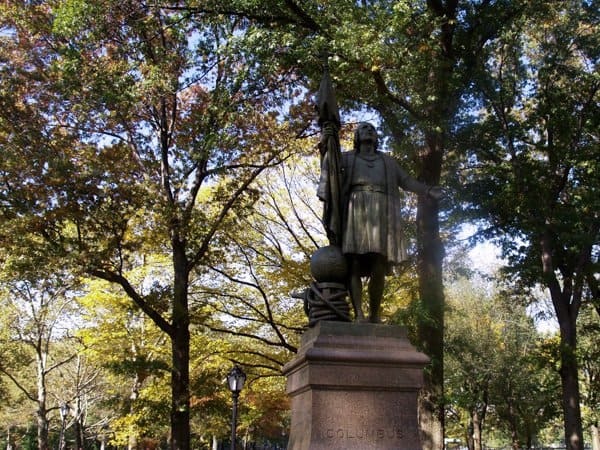 While poets and novelists like Robert Burns and Sir Walter Scott are well-recognized in America, there are also statues of less known artists and even a statue of Christopher Columbus on the iconic mall pathway. There is even a statue of Balto, the leader of the sled dogs that rescued Nome, Alaska from the threats and tragedy associated with a diphtheria epidemic in 1925. It’s worth the effort for a small detour and then back onto the main walkway. The grand mall leads visitors directly to the Bethesda Terrace and Fountain. These wide spaces and beautiful natural backdrop are often considered to be the central feature of the park. 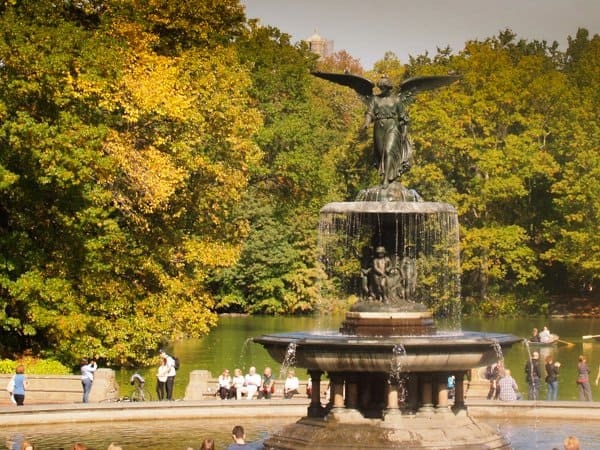 The Bethesda Fountain dominates the circular plaza, at twenty-six feet high by ninety-six feet wide. A classic bronze angel sculpture surrounded at the base by four small cherubim representing health, purity, temperance, and peace. The angel has an outstretched hand, as in the motion of delivering a blessing on the water beneath her commemorating the opening of the Croton Aqueduct, which provided the city with fresh water in 1842. In her other hand, the angel carries a lily flower representing the purity of the water. Our final stop is near The Lake, where visitors and locals row small boats and enjoy the serenity of being outdoors. Boat rentals are available at Loeb Boathouse (follow the map to the east side of the lake). After enjoying the scenery at The Lake, we headed over to Strawberry Fields (west side of the park) and then did a 180-degree turn and found our way to the Metropolitan Museum of Art (east side of the park). The Metropolitan Museum of Art houses over 2 million items and numerous collections. The museum opened in 1874 is and home to the Metropolitan Costume Institute. 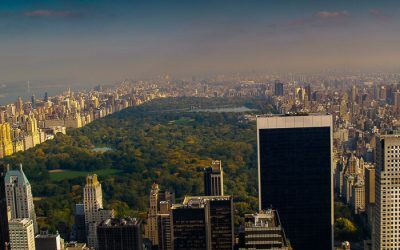 Central Park was a designed park with the specific purpose of providing New York residents a place to escape from the crowded city. At its inception, this park was far from the city and was at the time a rural area. The original design for New York City proper was formulated by the City Commissioners in 1811 and was focused on commerce and efficient business arrangements. There were no significant open spaces included in those plans. By the 1850’s, the population had expanded and the city became crowded and tense. 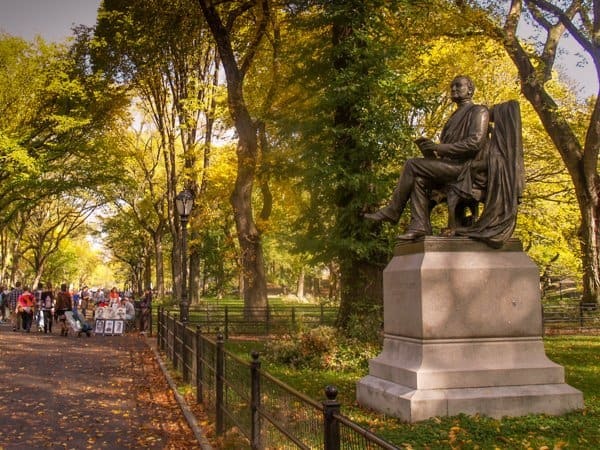 It was time for a change and Central Park’s land was purchased for $5 million. 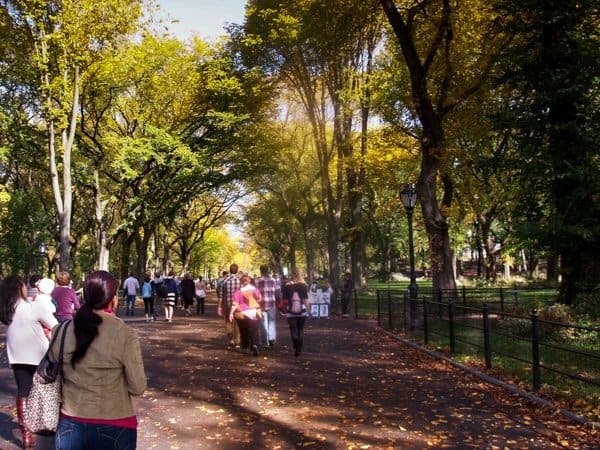 The city held a design competition, which awarded the design concept to Frederick Law Olmstead and Calvert Vaux, with their design “The Greensward Plan.” The park property stretches for 2.5 miles from south to north and .4 miles from east to west, with city streets outlining the 843-acre green space. Are you still tracking your Fitbit steps? 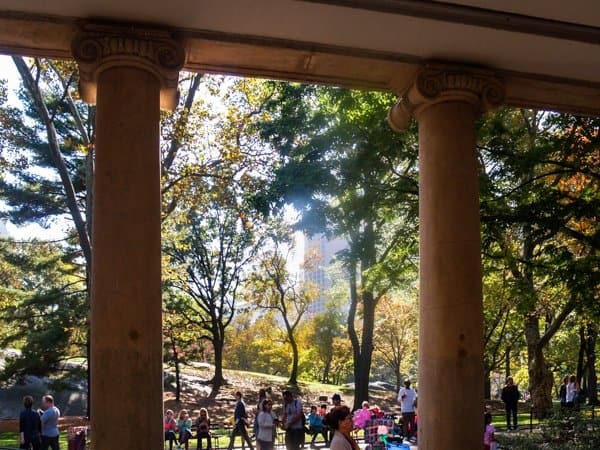 Even today, in a city that may seem crowded at times, Central Park is the great equalizer among men, offering respite from the worries of the day while embracing the beauty of nature. 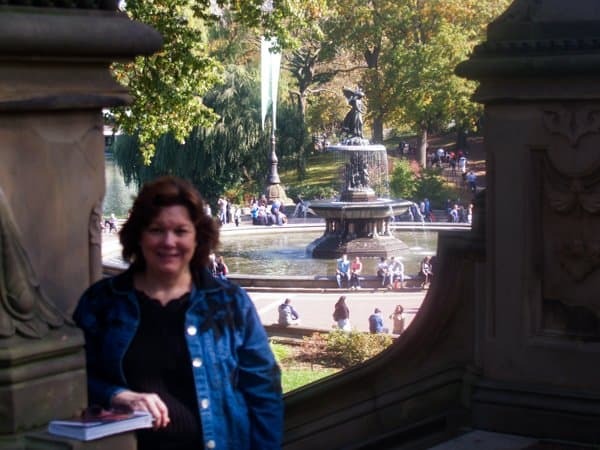 Our tour was only a sampler of what Central Park in New York City has to offer. There are themed tours available to suit every interest. 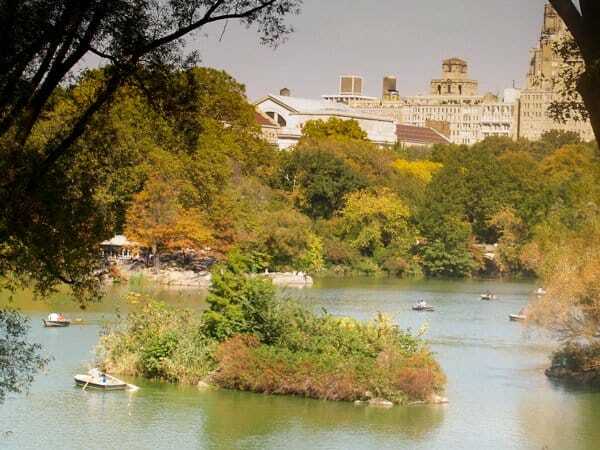 In addition, horse carriage rides, biking routes, and jogging paths provide additional ways to tour Central Park. 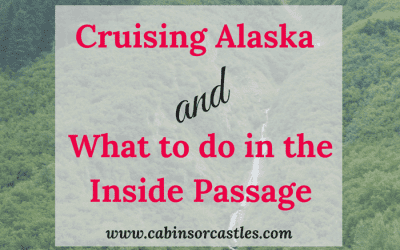 I guarantee you’ll see something new with every visit.